Boris Johnson conceded it was “too early to speculate” on the nature of the illness of Russian double-agent Sergei Skripal and his daughter. The foreign secretary was responding to a question on UK-Russia relations in Parliament. 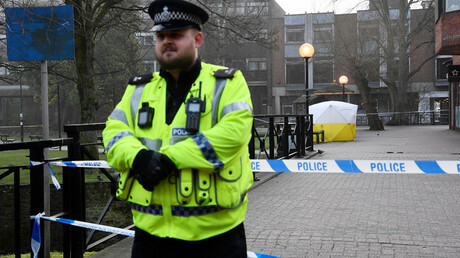 Skripal, 66, and his daughter, Yulia, in her thirties, were found slumped on a shopping center bench in Salisbury, Wiltshire, on Sunday. UK police are currently attempting to work out which, if any, “unknown substance” harmed the pair, who remain in a critical but stable condition. At least one of the emergency service workers remains in hospital after dealing with the incident.